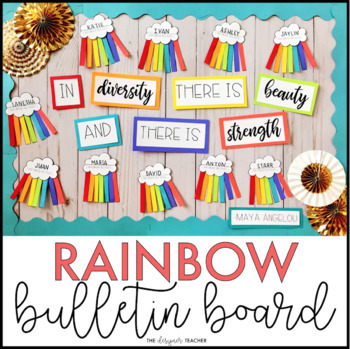 Create an adorable spring diversity display while encouraging students to reflect on the things that make them unique. 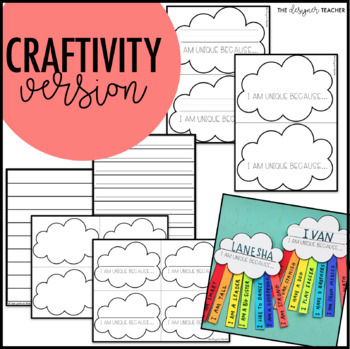 Product includes a no-prep version as well as a craftivity version if your students are up for a little cutting and gluing. The cloud says "I am unique because..." and students can write things that make them unique on each rainbow stripe. 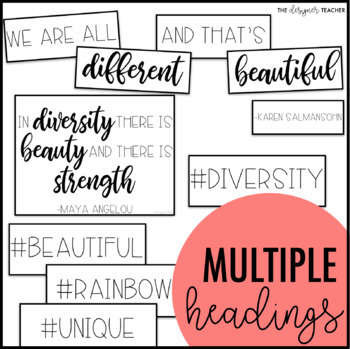 The headings "In diversity there is beauty and there is strength" -Maya Angelou and "We are all different and that's beautiful" -Karen Salmansohn are included as a multi-page version with large words, as well as a one-page version. There are also headers with the hashtags #unique, #diversity, #rainbow, and #beautiful. Looking for more mindful resources? I LOVE to see my products in action, so please tag me @thedesignerteacher if you share a photo! 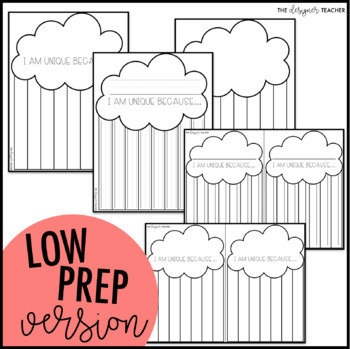 Don't forget to follow The Designer Teacher and leave feedback to earn TPT credits!